Be the first to share your favorite memory, photo or story of Itzel. This memorial page is dedicated for family, friends and future generations to celebrate the life of their loved one. 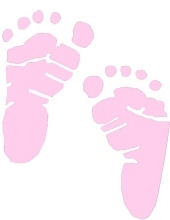 Itzel Martinez, precious baby girl, was born January 26, 2019, in Humble, Texas and returned to Heaven the same day while surrounded by her family. She is preceded in death by her grandfather Antonio Martinez ,Itzel is lovingly survived by her parents, Luis Armando and Ana Garcia Martinez; brother, Luis Angel Martinez Garcia and sister, Sophia Isabelle Martinez Garcia; grandparents, Jose and Maria Garcia, and Maria Razo. Itzel Martinez’s family will remember their little angel and celebrate her life always. She will be laid to rest at 10:00 a.m. Friday, February 1, 2019 at Woodlawn Cemetery under the direction of Carter-Conley Funeral Home. To send flowers or a remembrance gift to the family of Itzel Martinez, please visit our Tribute Store. 1101 Antoine Drive Houston 77055 TX. "Email Address" would like to share the life celebration of Itzel Martinez. Click on the "link" to go to share a favorite memory or leave a condolence message for the family.